Welcome to Sixt rent a car in Tuscany! 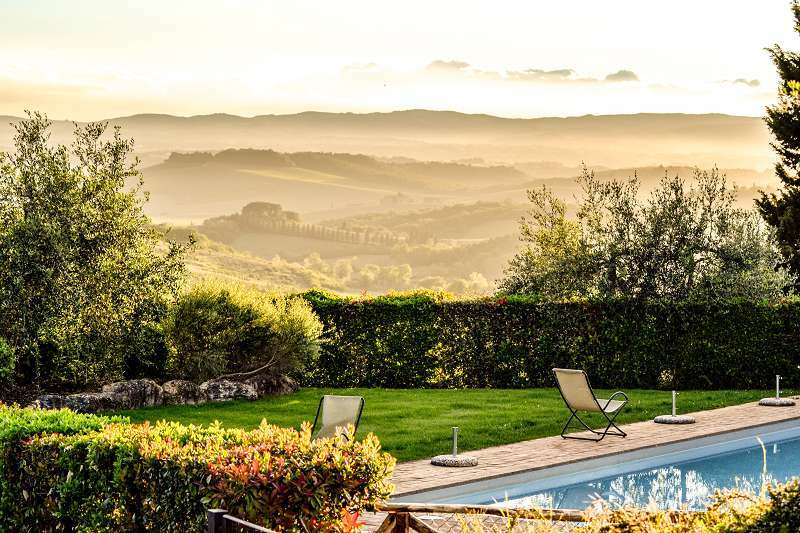 Get ready to enjoy the cypress trees, vineyards and slanted red terracotta tiled roofs that characterize the picturesque Tuscan landscape. Our car rental deals in Tuscany include excellent customer service and affordable rates on premium vehicles. With our fleet of luxury and economy rental cars we have the right vehicle for your vacation with family or friends. Select your pick up point from the branch menu below and keep reading on for useful travel tips. We provide insight into the climate, culinary specialties and information regarding traveling with children. Our online booking is fast and uncomplicated and a free cancellation is almost always possible depending on the chosen tariff. You can arrange a car rental in Tuscany at airports in Pisa and Florence, among other convenient locations. Click on the second tab of the branch menu to see exactly where our car rental locations are on Google Maps. You can learn more about the most important cities and cultural highlights of the region as you scroll down the page. When you rent car in Tuscany with Sixt you can customize your rental vehicle with any of our useful extras. You can book add-ons such as child seats or see about a one-way car rental. We will gladly provide you with a GPS device or extend your protection. You can have a look at all our recommended optional features available with our car rental in Tuscany on the bookings page. The landscape of the Tuscan countryside is characterized by wooded hills and mountains whose winding roads are well suited to our compact cars. Sedans are ideal for a longer car rental road trip in Tuscany as they provide a comfortable travel experience thanks to ample leg room and top amenities. Families, groups should consider a roomy SUV, station wagon or minivan. If you are not coming from the EU, you will need an international driving license to drive in Italy. The minimum age to rent a car in Italy is 21 and drivers must be in possession of a valid driving license for at least one year. Any additional drivers must show their valid, original driver's license upon pick-up. When you rent a car in Tuscany with Sixt you will receive a vehicle with a full tank of gas and must return it full as well. You can save time when returning your rental vehicle with our prepaid fuel option which offers the possibility to buy a complete filling of the tank at a cost that is more on par with local prices. In the event of an accident please contact the police immediately and report any damages to the rental vehicle directly to Sixt. Use the accident report form which is enclosed with the vehicle documents. The rescue service can be reached in the region under emergency number 112. A valid driver's license and an identity card or passport while receiving delivery of the vehicle. Driver's licences from non-EU countries (except Switzerland) are accepted if: a) no visa has been entered in the passport. b) the customer has a visa in his passport and at the time of hire has not been in Europe for longer than 6 months. Driver's license printed with non Roman Alphabet (Arabic, Chinese, Japanese, Cyrillic etc) must be complemented by an international driver's licence. For driver's licenses from countries not part of the international driver's license treaty. 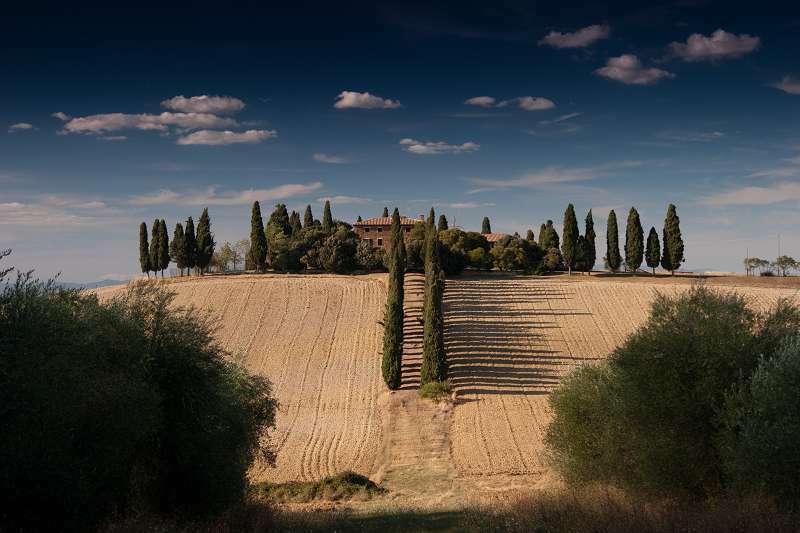 Tuscany is one of the most popular tourist destinations of Italy. With its mountains, vineyards, beaches and cultural cities it continues to attract travelers. To fully experience the region with your car rental in Tuscany make sure to plan trips to the mountains and the seaside, and be sure to allot time for stopovers in Pisa and Florence as well. 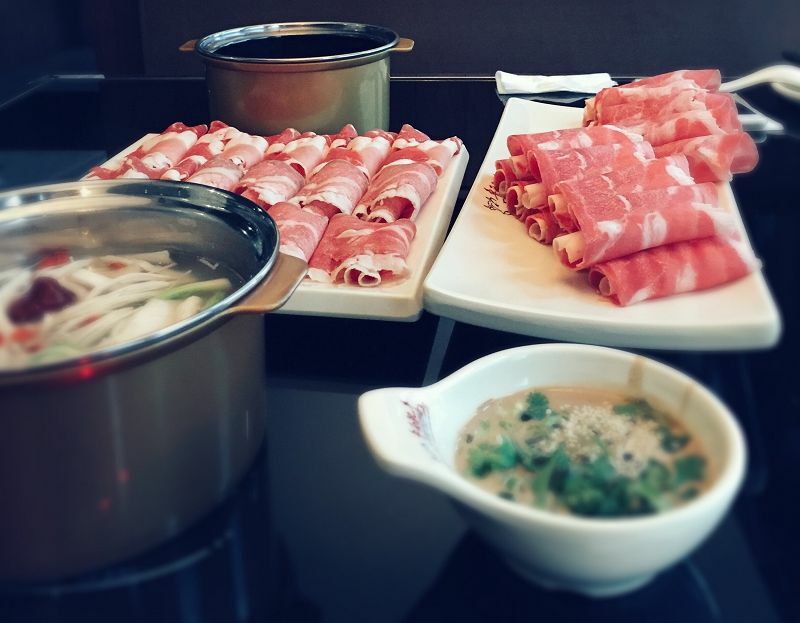 What one can also certainly expect, and look forward to, is the abundance of good food. As in Italy in general, Tuscans pride themselves on the importance they attach to their cuisine. Those traveling with children will also feel welcomed by the generally warm and friendly locals. Everything is, as the Italians say, 'picobello' in Forte the Marmi. Glamorous villas, luxury hotels and expensive fashion boutiques line the promenade. In contrast, Viareggio has a rather urban character, and you can enjoy its well-shaded city park. Another important tourist attraction of Viareggio is Carnival, which turns the city into a colorful setting five weekends a year. Between these two destinations is Marina di Pietrasanta, a lovely place with lots of small shops, and supposedly the best beach in the region. Situated between a lake and the mountains is the medieval village of Isola Santa. You can reach this story-book like town within an hour's drive from Versilia coast. Just before reaching the Strada Provinciale di Arni you will pass Cava dismessa Hen Aux, a former stone quarry. The views of the flat, smooth rock face promise to impress. 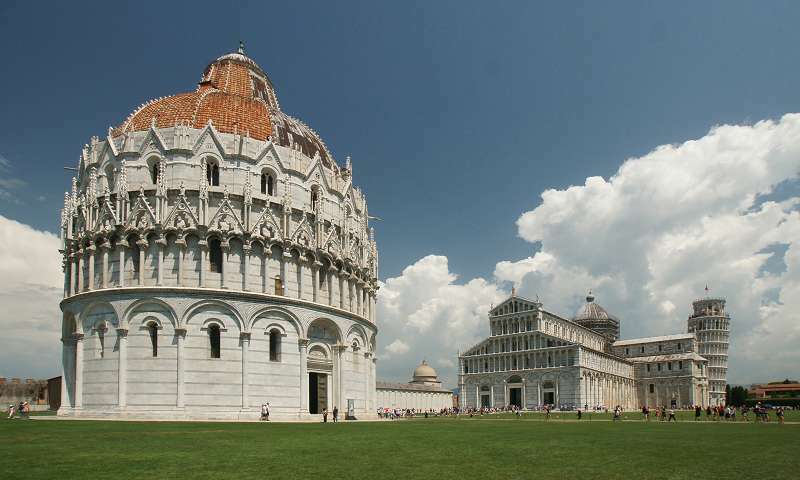 Pisa and Florence and Siena are the must-see cities for a visit to Tuscany. If you have the time, complete your visit with a stop in Lucca as well. The capital of Tuscany and the cradle of the Italian Renaissance, Florence is home to some of the greatest artistic treasures in the world. The gallery of the Uffizi presents works by Leonardo da Vinci, Michelangelo, Caravaggio or Botticelli, while the Galleria dell Accademia hosts Michelangelo's David. You can also visit the Ponte Vecchio, the famous bridge of jewelers and goldsmiths. The luxury boutiques of the great Italian designers such as Armani, Gucci, Versace and Prada, are also to be found. Our Florence car rental branches are conveniently situated at the airport and in the city center. The Leaning Tower of Pisa alone attracts hundreds of thousands of tourists each year. It stands on Piazza dei Miracoli, formally called the Piazza dei Duomo, behind the Cathedral of Our Lady of the Assumption and the Pisa Baptistery. The plaza is known as the Square of Miracles in English and one can see why as the dominating view of these impressive, white religious structures set against the green grass and blue sky are certainly awe inspiring. You can find our Pisa car rental services near the airport. 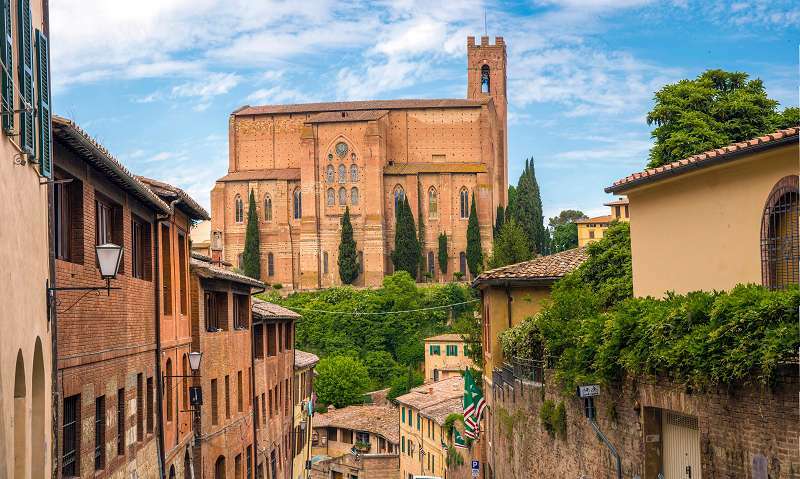 Siena is of one the most visited spots in all of Italy. Besides the attractions of its historical center, which has been declared a UNESCO World Heritage Site, it is famous for its fine wine and food. Enjoy the views of the surrounding countryside from one of the medieval towers before relaxing with a glass of Chianti at a cozy restaurant. Sitting 15 km from Viareggio and about 20 km north of Pisa, is the charming city of Lucca. Take a walk around the 12 meter high walls that encircle the city and see sights like the ancient Roman amphitheater found in the Piazza dell Anfiteatro. The tower of Guinigi is also a special sight as it is one of the few remaining towers within the city walls. The Lucca Cathedral is home to the most important shrine of Lucca and one of the oldest labyrinths embedded in the portico's right pier. 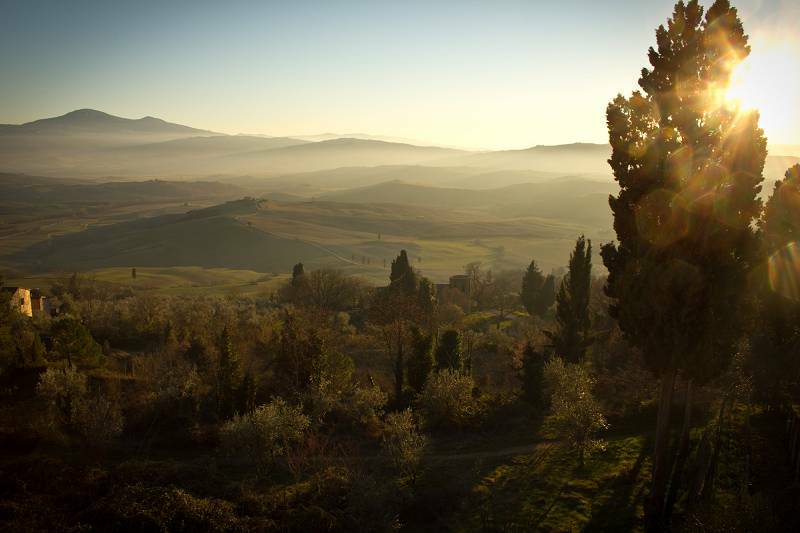 Tuscany enjoys a temperate climate that generally makes it a pleasant to visit year-round. Those wanting to focus their trip on all the fabulous museums should plan a trip between April and May to avoid the crowds. From the end of June to the end of August the high season is in full swing, along with higher temperatures. This is the best period for beach trips on the Tuscan coast. If looking to take advantage of the mountains and nature areas visiting in fall is recommended. The Tuscan cuisine is simple but delicious accented with fine olive oils, herbs and good bread. Bruschetta, bread with tomatoes, olive oil and herbs is a great example of how the right ingredients can make all the difference. Typically a meal begins with antipasti and is followed by the 'prima piatti' a pasta or rice dish, next comes the 'second piatti' usually a meat dish, and finally ends with a sweet dessert. Of course you should complement the local specialties with a Tuscan wine like a Chianti, but a Nobile di Montepulciano or Brunello di Montalcino are also good choices. Those traveling with children should feel quite welcome and a car rental makes a family road trip in Tuscany comfortable and easy. Those heading to the coast can feel good about letting kids in the rather shallow water, and have peace of mind knowing there are lifeguards on duty. 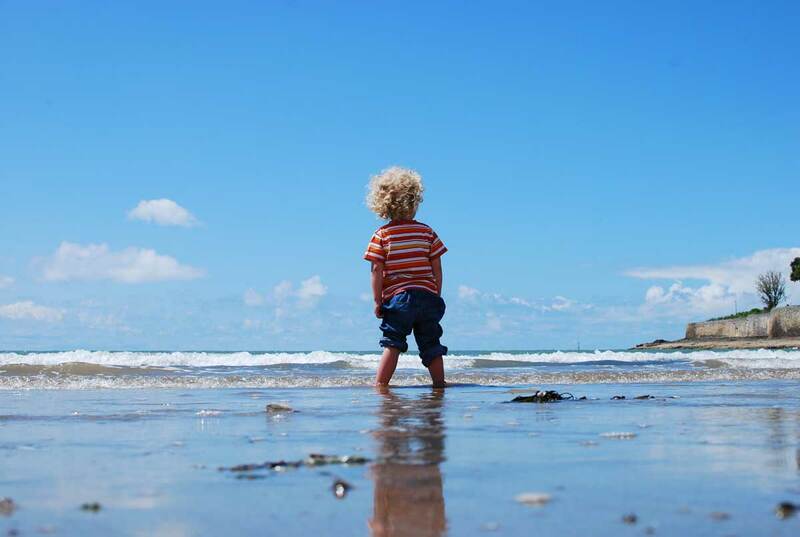 There are plenty of great excursions suitable for children as well. You can visit the life-size dinosaurs at the Prehistoric Park in Peccioli, or spend a day at the Children's Museum in Florence. Families may also prefer a agrotourism lodging, staying at a farm or vineyard instead of a typical hotel.